Reporting starts with a phone call from you. The daily recording for jurors will include instructions about where and when to report. Jurors will be directed to the Clermont County Common Pleas Court at 270 East Main Street, Batavia, OR the Clermont County Municipal Court at 4430 State Route 222. Jurors for the Clermont County Common Pleas Court should report to the first floor of the Clermont County Courthouse. Where do I park for Common Pleas Court? There is no single courthouse parking lot, but there is ample free parking on the streets surrounding the courthouse. For Common Pleas Court, parking spots are available on the side or back streets. A public lot is located behind the Courthouse Annex off South Third Street. A public lot is also located at the corner of Third and Spring Streets. Parking on Main Street is NOT recommended because of three hour time limits. Do NOT park directly in front of the courthouse as these spaces are reserved for police vehicles. If you are directed to the Municipal Court, there is ample parking in a large, dedicated lot in front of the building. Jury service in Clermont County Common Pleas Court is for one week or the duration of one trial if you are seated as a juror. When does court start and end for the day? 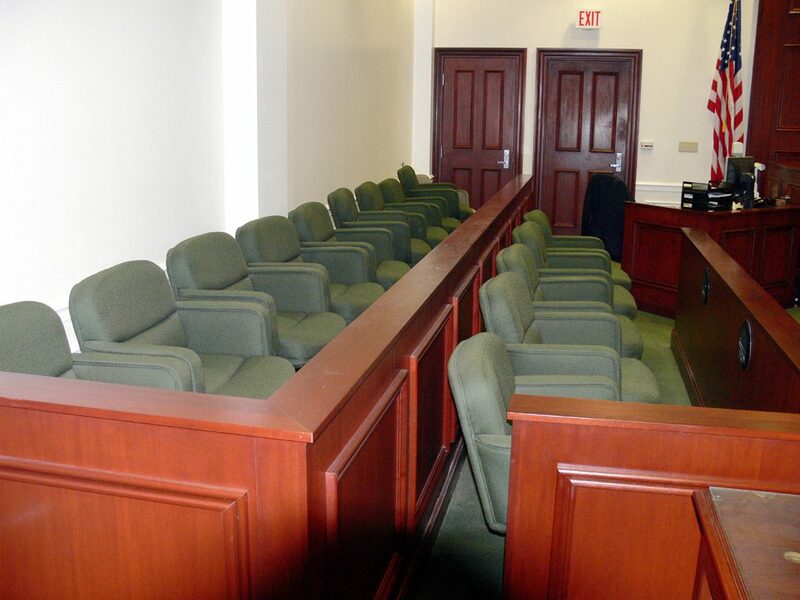 The starting time for jury trials varies depending on the judge and may start as early as 8:30 AM. Trials usually recess for the day in late afternoon. The actual times are controlled by the judge and may vary depending on the availability of witnesses and other matters that come before the court. Will I be on criminal or civil cases? It could be either one. You will know what type of case you are on when you are assigned to a particular courtroom. Can I send e-mails or use Twitter or other social media concerning a case while I am a juror? Can I use the Internet to research the case? NO. Once you are seated as a juror for a trial, the judge will instruct you NOT to have any outside contact with anyone about the case. This includes NOT using Twitter, Facebook, or other social media to post updates, and it covers any sort of research or information gathering from the Internet or any other source before you come to court, and especially while the trial is going on. I can’t see well or hear well. Do I still have to serve? Only the Court can make a determination of whether or not you are disqualified from service. If the jury office is notified prior to your week of service, a signer/interpreter will be available to assist you. Headsets are available with audio amplified from the courtroom. If you are hesitant to serve because of either seeing or hearing limitations, you may write a letter of explanation to the Jury Commission Board requesting that you be excused from jury service. Voir dire is a question and answer session where the trial judge and the attorneys for both sides ask questions of the prospective jurors to determine who is qualified and unbiased to be on a particular jury. You should not. The jury waiting area does not have baby sitting services. Childcare services are not available at the Courthouse. Please arrange for a babysitter. The Court cannot reimburse you for these costs. What do I do at the Courthouse while I wait to be assigned to a courtroom? The jury assembly room has a TV, chairs for reading, Wi-Fi connection for your laptop or tablet, snacks, and a vending area for refreshments. Can I get something to eat at the court? Food and beverages are not allowed in the courtrooms, however bottled water may be allowed depending on the courtroom. There is an area in the Courthouse with vending machines, but no snack bar or cafeteria. There is a refrigerator in the jury waiting room if you would like to pack a lunch. There are restaurants within an easy walk of the Courthouse. I have heard of juries being sequestered. Will I be separated from my family? Sequestering a jury is a very rare event. Generally you will be free to go home when the trial is in recess for the evening. Jury service pays you a rate of $15.00 per day. Some jurors elect to donate that money to either the United Way or the Clermont County Improvement of the Administration of Justice Fund. Does my employer have to pay me while I’m on jury duty? That is between you and your employer. The Court cannot control that. The Court can provide you with a certificate to document your service if your employer needs one. How do I call in to know if I am needed? The call-in number is 513-483-4864. You should call this number each day to see if you are needed on the following day. You are required to check the recorded message daily after 5:00 PM to listen for your juror number. You may begin calling for your first message the Friday before you begin. Do not report unless your juror number is listed on the recording. If you serve on or are excused from one case, you must still call in daily for your next assignment. What is a grand jury? Am I on it? A grand jury is completely different from a petit or trial jury. A grand jury sits periodically to hear evidence to determine whether or not a crime has been committed and if so, who should be charged with that crime. If your jury summons does not specifically say “grand jury”, you are being called for trial jury service. When is court in session each day? The normal hours for the Court to be open for business are 8:00 AM to 4:30 PM. Each judge will set the actual time when trials will start and end in their courtrooms each day. If there is an emergency at home, how would my family reach me? In a genuine emergency, your family can call the jury commission office at 513-732-7596. It is up to each individual judge to make a decision whether to allow note taking or jury questions depending on the circumstances of each trial. I need to be excused from jury service. How do I do that? State law defines the circumstances when a person can be excused. These recognized excuses are listed on your questionnaire. Jurors seeking to be excused prior to their assigned week must also include a letter of explanation for the Jury Commission Board to review. The Board meets weekly to review the requests. For situations not specifically listed on the optional excuses such as college students, childcare issues and military personnel serving out of state, it is recommended that the letter state “Jury service would cause extreme physical or financial hardship” and attach a letter of explanation. Jurors can write their own letters of explanation but are also welcome to include letters from employers and/or school. The letter seeking to be excused should include enough information for the Board to make a decision. Personnel in the Jury office do not have the authority to consider requests to be excused.